1661 – Oliver Cromwell ritually executed. Twelve years earlier, through deceit and political maneuvering, Cromwell replaced King Charles I, named himself Lord Protector, and had Charles executed. He ruled for a decade and then died of illness in 1658. The monarchy was then restored with King Charles II. He decided just being dead wasn’t good enough, and that Cromwell should be executed for the overthrow. So they had Cromwell dug up, hung from a gallows, and then beheaded. His head was put on a spike and displayed for twenty years before it fell off during a rainstorm. 1835 – Assassination attempt of President Jackson. It was the first time an attempt had been made to take an American President’s life. Richard Lawrence, an unemployed painter, rushed the President outside the Capitol but both his pistols failed to fire. Jackson, quite angry, blamed his political opponents. Evidence revealed however, that Lawrence was mentally unbalanced. He believed Jackson had killed his father, and also that he was England’s King Richard III and that the American colonies owed him money. Lawrence was declared insane and spent the rest of his life in a mental institution. Two interesting side notes to this incident. One of the men who subdued Lawrence after the attack was Congressman Davy Crockett, and the lawyer who defended him at his trial was Francis Scott Key. In researching this piece I came across this description of Jackson. He was ill-tempered, a fierce hater, unbending, dictatorial, and vindictive. It’s certainly a good thing we’re past all that, isn’t it? 1961 – “I Fall to Pieces” released. 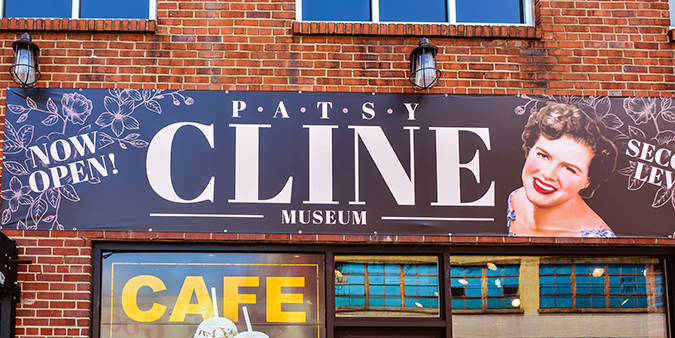 One of Patsy Cline’s biggest hits, it remains popular to this day. The song almost didn’t make it to the recording studio. Brenda Lee had turned it down and Patsy Cline wasn’t all that enamored with it either. After she agreed to do it she wasn’t happy with the arrangement, but she eventually became sold on the song. When it was released it wasn’t an immediate hit, and its rise up the charts was a slow one. However, it eventually reached the top, and now is revered as a country classic. I was stationed at Holiday Beach on Kodiak Island. There were a number of guys from southern states and to them Patsy Cline was Queen. They were devastated when she died in a plane crash and I listened to “I Fall to Pieces” quite a lot for a while. The man who saved the world. Arkhipov was second in command aboard the Soviet submarine B-59 during the Cuban Missile Crisis. The sub was patrolling off Cuba when it was detected by U.S. ships. The B-59 was a diesel submarine equipped with a nuclear torpedo. The U.S. ships began dropping non-lethal depth charges to try force the sub to the surface. Those aboard the B-59 thought they were facing death. The sub was too deep to receive any radio signals, and for all they knew WWIII had already started. They had permission to launch the torpedo without waiting for approval from Moscow and the captain decided to go down fighting. Victimized by a nuclear weapon, the U.S. surely would have responded with its own nuclear attack. The date was October 27th and the world was moments away from nuclear conflagration. The order in the Soviet Navy, however, was that all three senior officers aboard had to approve a launch. Two had already agreed, so Arkhipov held veto power. Understanding the devastation of nuclear war, he calmed the captain down and prevented the torpedo from being launched. The B-59 surfaced and was escorted away from Cuba. They were not hailed as heroes upon their return to Russia. Some in the upper echelon of the military thought it would have been more honorable for them to have gone down with their ship. Nevertheless, Arkhipov stayed in the navy and eventually rose to the rank of Vice Admiral. Retired, he died in Russia in 1998. A Kodiak Island theme for today’s post. The Cuban Missile Crisis started on my 19th birthday. I was a radioman on Kodiak Island, Alaska at a place called Holiday Beach. We ran a one building radio receiving station about fifteen miles from the main naval base. Our radio station became the central command post for the island’s defenses. I guess the thought was we were remote enough that we would be less of a target. There were a lot of higher-ranked officers hanging around, and marines assigned to protect the building and even some of our forty-man crew were given helmets and M-1s and made to stand sentry duty. I escaped that and maintained my regular duties in the crypto room. The priorities assigned to the messages we received were normal, operational, emergency, and the highest priority ones were designated with the letter “Z.” I had never processed an “emergency” message in the short time I had been a radioman; during the nuclear stand off, they became routine. I assumed if I ever received a “Z” message, mushroom clouds were impending or already forming. There was fear and excitement, and the whole thing also felt surreal. Was this really happening, was the world going to blow up? We all assumed we would survive. We were too remote, there were too few of us, we didn’t warrant a nuclear bomb. We weren’t aware of the effects of radiation or the possibility of nuclear winter as we contemplated what it would be like as survivors. Those thoughts were definitely not reality-based. There was also some irreverent humor. As the tension grew with the Russian ships approaching the U.S. blockade, one guy walked around saying “War is hell” and we’d all laugh. Until one wizened old Chief Petty Officer, his own tension level too high, erupted. “This ain’t funny! You have any idea how serious this is?” Being young and immortal, we didn’t. And because of 2nd Captain Vasili Arkhipov we never had to deal with a reality too horrid to comprehend. Incidentally, an independently produced feature length movie was based on my experience on Kodiak Island during the Cuban Missile Crisis. “Holiday Beach” was directed by my friend Steve Larson and can be obtained by emailing: northernskyprods@yahoo.com.